You have your own equipment and you search out for the challenge? Come and play PPA Big game! There is an organizers crew takes care of observation of the rules, duration of the event and preparation of the field. Furthermore, they prepare the tools as bombs, cannon, flags and motorized technics for you in advance. BYO&Rental is probably already known from the last year, but because it is really special, let's repeat it. It is not a Big Game nor an Open Game, we are not preparing a special scenario and the Big Game price-list is also off game. The whole point is, that the field is open for every player - the players with own equipment can join the players with borrowed equipment (which is normally not possible). 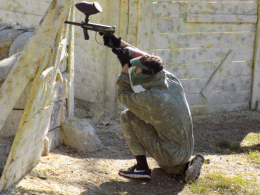 It is kind of another chance for players with their own equipment to have a good time in our field! 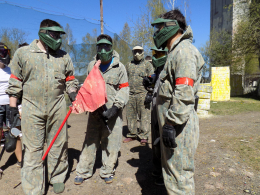 OpenGame is open for everyone, who have a time and want to play paintball. And what's the most important? You decide about the location! BigGame is event especially for players with their own equipment, but also for players, who already have some plaintball experiences, but they just need to borrow an equipment. You don't have any equipment nor experiences, but you have enough of courage? Then we are looking forward to see you too! On every BigGame we are preparing a special easter scenerios for You!